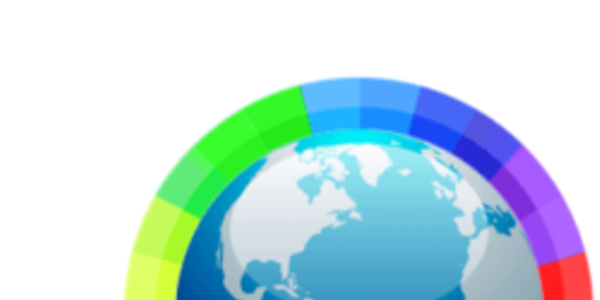 LaunchNET News: #Giving Tuesday contest! 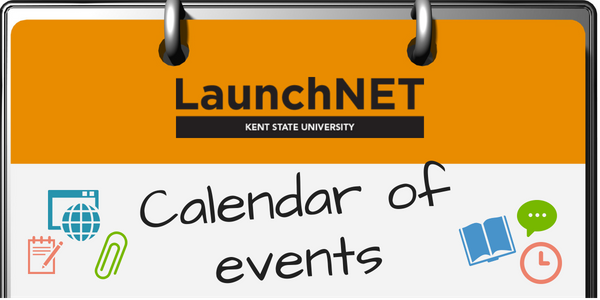 As a featured part of the KSU Giving Tuesday campaign, LaunchNET can win up to $5000 if we have the most contributors and most $$ donated this week (Nov. 12-19)! An anonymous donor has generously pledged to match all gifts to the fund up to $10,000. AND... For every 15 unique donors who give $25+ to this fund, we will also receive a $500 Bonus Participation Boost from the Kent State University Foundation! 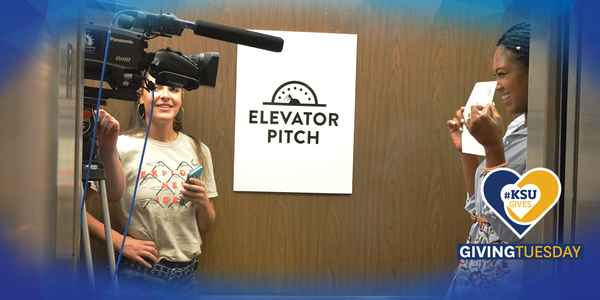 Help us continue to help student innovators from across the campus bring their big ideas to life! Find out more & give! 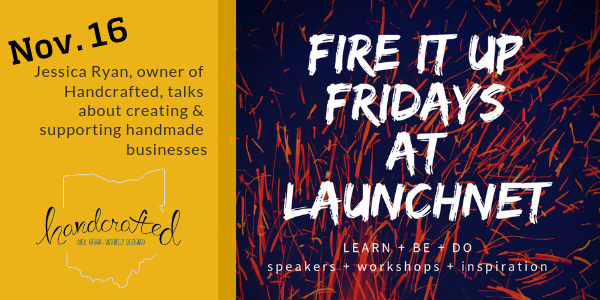 Come and talk to downtown shop owner and entrepreneur Jessica Ryan, from Handcrafted. Perfect for wannabe retailers and makers!! No RSVP needed: just show up and bring a friend! We'll provide lunch! 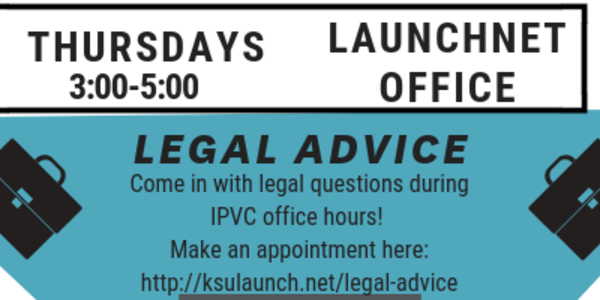 The LaunchNET legal consultant (from the Case Western IPVC clinic) will be in the office every Thursday to answer your legal questions! We are happy to announce that we will have a professional accountant from CBIZin the office, available to answer questions and help you with any business financial issues. Have a great Wellness program idea? Seeds of Wellness is a mini-grant program that provides investment for programs that reflect Kent State’s investment in health and wellness across the university system. 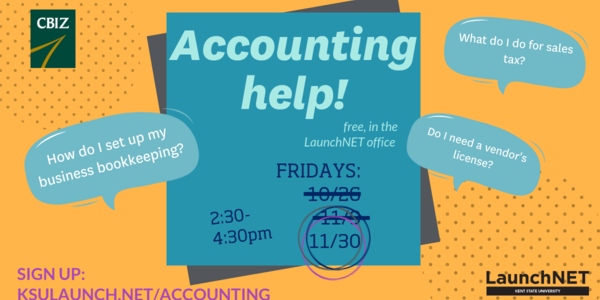 LaunchNET is happy to help you put together the materials you need to apply for the grant! Interested in attending? Contact Zach or Tabitha to get a group rate discount! Kent Fabrics - Sip & Sew event on December 2! 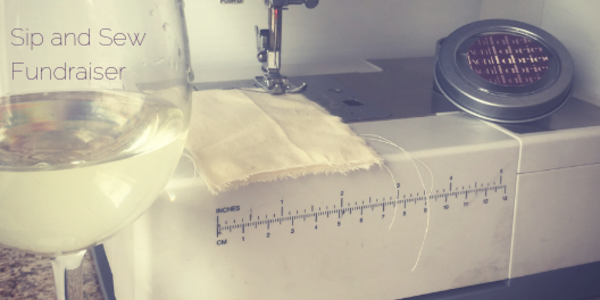 Learn to sew a zipper pouch while enjoying great wine & cheese from the Kent Cheesemonger! Kent Fabrics team members will be available during the event to answer questions and assist in using sewing machines. This event is open to all sewing experience levels. Kent Fabrics now has 24-hour delivery in Kent through OZI! 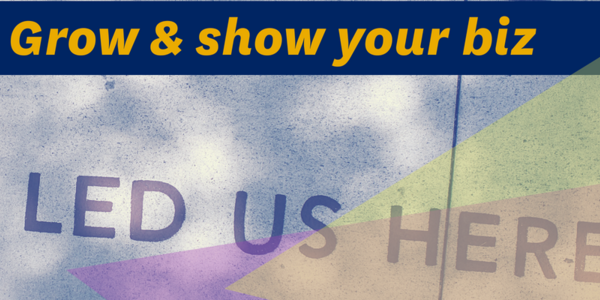 sign up & help Kent Fabrics become a reality! 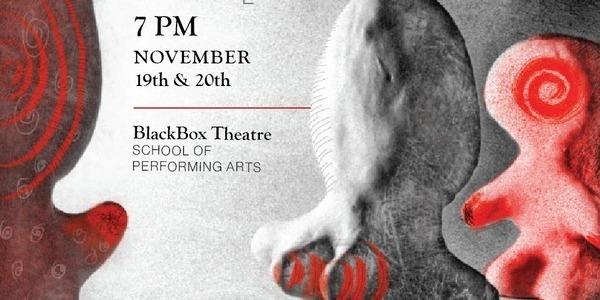 The School of Theatre and Dance's Black Box Series is comprised of student produced works performed in the Erdmann-Zucchero Black Box Theatre. R.A.P.E. (Respect. Appreciate. Protect. Educate.) Directed by Yayra Tamakloe and ShaKeela Gary. Black Box productions are free and open to the public! We are looking for clients who are ready to SHINE! Take the spotlight in the newsletter or other media! 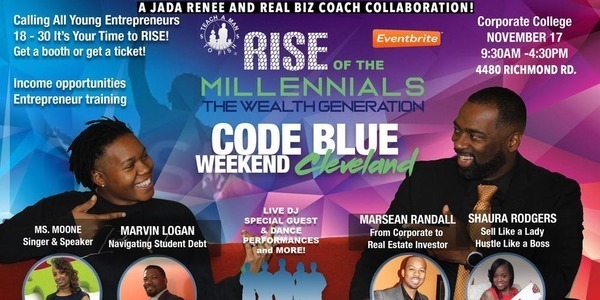 The Spark Awards recognize Greater Cleveland millennial entrepreneurial leaders who demonstrate a high level of character. 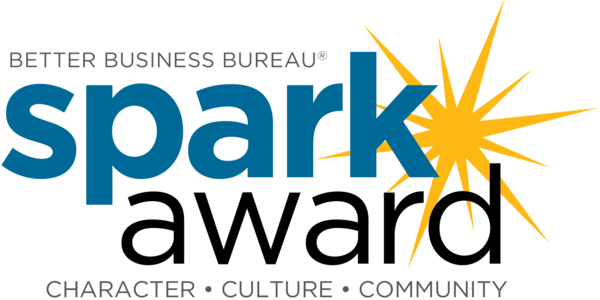 Through an easy application process, millennial-owned businesses who demonstrate these characteristics can apply for a Spark Award on our website. Consumers and businesses can also nominate a business they feel is actively working to maintain an ethical marketplace while connecting with its community. Completed applications are due on November 21, 2018. Augmented & Virtual Reality, Enterprise & Smart Data, Entertainment & Content, Health & Wearable, Hyper-Connected Communities, Payment & FinTech, Security & Privacy, Social & Culture, Sports & Performance Data, and Transportation. 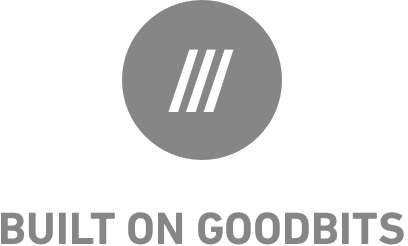 The Cleveland Citywide Development Corporation (CCDC) is launching NTI’s inaugural retail incubator in the first floor of the Glenville-Circle North mixed-use development located at 1400 East 105th Street. Participating businesses will be selected through application process and pitch competitions. Through the WEDO Certification Program, your business will gain access to an expansive consumer base, increase sales and loyalty, connect with other women-led companies and contribute to a global movement empowering women in business.